Recent reports that Cape Town, a popular tourist destination in South Africa, will soon run out of water due to a prolonged drought hardly seem to be slowing down the country’s burgeoning tourism industry. This despite warnings by water resources management experts that soon, Cape Town could be the first major city worldwide to run out of water. South African Tourism, the country’s national tourism marketing body, asserts optimistically that the current water crisis may actually help position the country as a global leader in sustainable tourism practices, including the judicious use of water. This despite warnings by water resources management experts that soon, Cape Town could be the first major city worldwide to run out of water.ecent reports that Cape Town, a popular tourist destination in South Africa, will soon run out of water due to a prolonged drought hardly seem to be slowing down the country’s burgeoning tourism industry. Cape Town is a global leader in business tourism, according to ratings published by the United Nations World Tourism Organisation (UNWTO), an agency that promotes responsible and sustainable tourism. 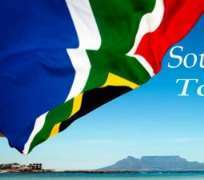 According to Statistics South Africa, a national statistical service, Cape Town is Africa’s foremost tourist destination, with some 3.5 million people passing through its entry ports in August 2017 alone. The South African tourism sector supports about 716,000 jobs, which is about 4.6% of the country’s total employment, according to the World Travel and Tourism Council (WTTC), a global forum for the travel and tourism industry. Including jobs in related industries, that figure jumps to 2.5 million. Yet SA Tourism hopes the sector can generate an extra 225,000 jobs by 2030. The sector attracts foreign direct investment and at the same time supports small businesses. In 2016, more than 10 million international tourists visited South Africa, injecting some R402.2 billion ($27.3 billion) into the economy. Although 2017 figures have yet to be announced, WTTC had predicted a 2.5% increase. The WTTC has also predicted a 4.2% (or $42.4 billion) annual increase in tourism receipts for South Africa until 2027, which Mr. Ntshona believes is achievable. “We are one year into our strategic goal of attracting five million more tourists by 2021 four million international and one million domestic or business or holiday trips,” he enthuses. Besides directly contributing to the economy, tourism in South Africa also drives inclusive economic growth and provides the necessary incentive for the government’s transformation programmes. Key transformation initiatives include Broad-Based Black Economic Empowerment, a programme to enhance black Africans’ participation in the economy, and the National Development Plan 2030, a blueprint for eliminating poverty and reducing inequality. Both interventions address entrenched inequalities caused by the apartheid regime that ended 20 years ago. While Cape Town is still a significant tourism destination for the US market and for the African traveler, Mr. Ntshona told the American trade publication Travel Weekly that SA Tourism is also setting its eyes on visitors from the lucrative Middle East, including Saudi Arabia. In mid-2017, Saudi Arabia’s Prince Sultan bin Salman bin Abdulaziz Al Saud, president of the Saudi Commission for Tourism and National Heritage, visited South Africa to explore with SA Tourism officials mutually beneficial opportunities for the two regions. Within the continent, South Africa is collaborating with the Regional Tourism Organisation of Southern Africa (RETOSA) to boost the region’s share of global tourist arrivals within the next decade, from its current 2% to 5%. RETOSA was created by the Southern African Development Community, a regional economic grouping, to develop tourism and regional destination marketing among its 15 member states. “We aim to achieve this [5% share of global tourism] through smart partnerships with private players and RETOSA, and by taking innovative and pragmatic approaches,” says Mr. Ntshona. But the tourism industry in South Africa is not without its challenges. The country is easing out of a controversial visa policy with onerous document requirements. It announced that starting in October 2015, proof of original birth certificates will be required only during the process of application for children entering from abroad. Travel agencies however are firmly upbeat, believing that the industry is resilient enough to withstand such shocks, and they are enthusiastically welcoming efforts to tap into domestic and regional markets. Daniel Joaquim de Nobrega, corporate general manager at TBA Corporate (formerly known as XL Travel by Arrangement), a Johannesburg-based travel service company, says that at the moment there is neither an uptick in leisure travel nor a decline. He reports marginal increases in corporate travels but adds that some companies now prefer to organise conferences locally while limiting the number of staff they send on trips to faraway destinations. Tourists visiting South Africa are often willing to include stops in neighbouring countries such as Mozambique and Zimbabwe as part of a package, says Mr. de Nobrega, adding that SA Tourism should continue to promote the country’s unique attractions. “Tourism is part of our country’s DNA,” concurs Mr. Ntshona.